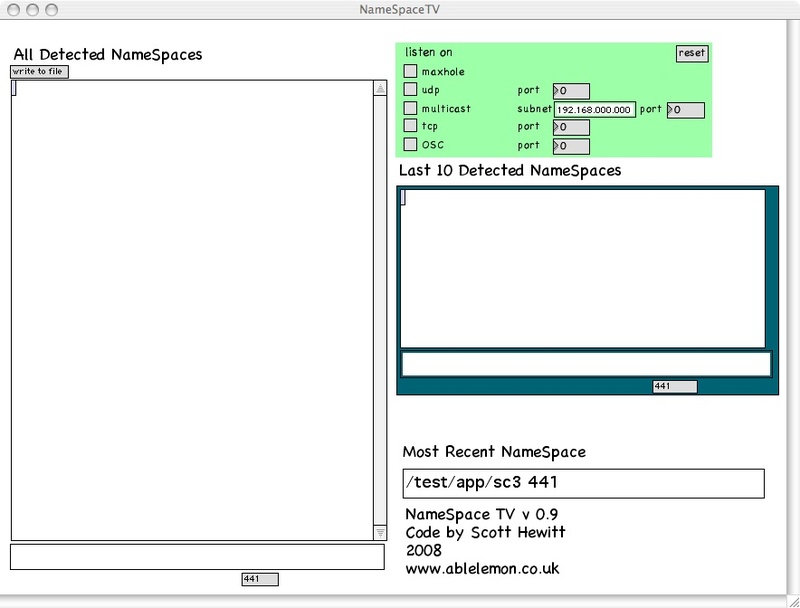 NameSpace TV is an OS X application designed for profiling and recording of in use namespaces. It is designed to work within network environments employing the Hewitt OSC NameSpace Standard. Strut is built within the Max/MSP environment and utilizes the Hewitt OSC NameSpace Syntax. To use NameSpace TV just select the network transit you would like to listen to and complete any required details. All detected NameSpaces can be written to file for storage or archive. 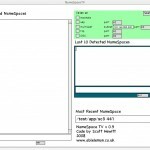 NameSpace TV works with OSC, UDP, TCP, Multicast and net.maxhole network transits.